Years 3 and 4 visit St Fagans @AmgueddfaCymru, watch out for the fierce Celts! 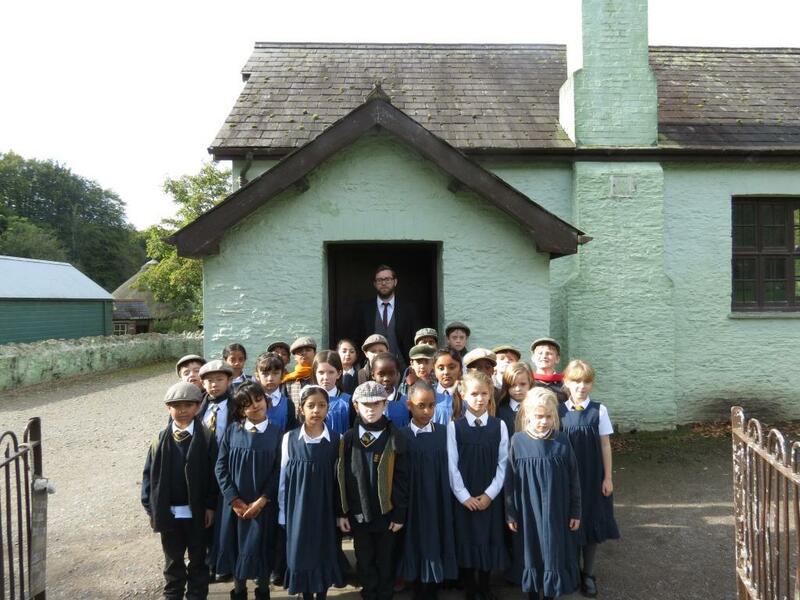 As part of our topic the ‘Cut Throat Celts’ Years 3 and 4 visited St Fagans today to learn more about their way of life and how we find out about their lives. Our first workshop taught us how historians and archaeologists find out information about the Celts using primary and secondary sources. We looked at a replica Celtic warrior grave and used the clues it left behind to identify what it told us about the warrior. We also looked at different artefacts such as clothing, weapons and jewellery. After a break for lunch it was onto the next workshop! We visited Bryn Eryr which was once a small iron age farmstead in Anglesey. We explored the roundhouse, considering how Celts lived differently to how we do today. We learned more about how they cooked using a cauldron and fire, the loom they used to make clothes, the weapons and what inspired their designs, what activities the family would have to do each day and many more things! We even had the opportunity to do some weaving on a loom and designed our own patterns. We have had such a busy and fun day at St Fagans. Thank you to everyone who helped us today!